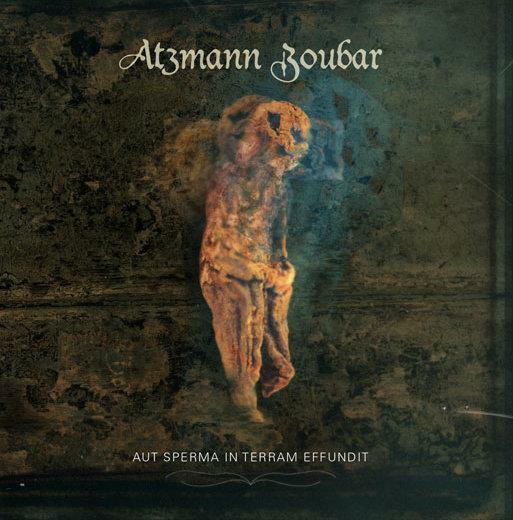 Plant witchcraft and magical plants, phytoritualistics, superstition and psychedelic botany – these terms describe the thematic framework of the project Atzmann Zoubar, which was founded by K.Makiri in 2005. At 12/22/2011, the day of winter solstice, the project’s debut album entitled “Aut Sperma In Terram Effundit” is going to be released. This work is a concept album exclusively focusing on the mandrake (Mandragora spp. ), probably the most well-known magical plant. The album, which was produced between 2006 and 2011, provides a mixture of ritual industrial and a quirky nature mysticism. Dark sound collages meet original texts about the mandrake. The slowly evolving tracks grow like roots into the mind, finally pervading the listener completely. During the last years, K.Makiri cooperated with various international artists. Thus, among others, Matt Howden (Sieben) from England and Salomeh (C.O.T.A.) from the USA contributed to “Aut Sperma In Terram Effundit”. Marcus van Langen (Des Teufels Lockvoegel) created lyrics and melody, and recorded 24 guitar tracks for the last song of the album (“Diese Eine”). Besides of the standard version, “Aut Sperma In Terram Effundit” will also be released as a box set in limited edition including several extras, which is going to be available exclusively via Binturong Music.